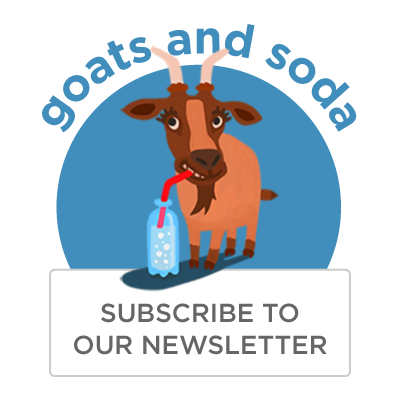 Zika Infection Late In Pregnancy Carries Little Risk of Microcephaly : Goats and Soda Scientists tracked nearly 600 pregnant women in Colombia, who were reportedly infected with Zika during their third trimester. None of these women gave birth to a baby with apparent problems. 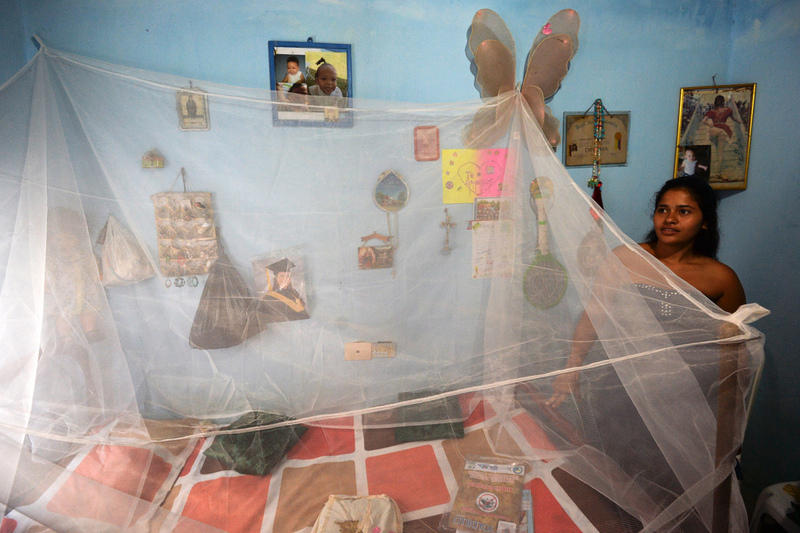 Eight months pregnant, Mara Torres stands next to a mosquito net placed over her bed in Cali, Colombia. Health officials in Cali have delivered mosquito nets to pregnant women to help protect them from the bites of mosquitoes that can transmit dengue, chikungunya or Zika. For months, scientists in Colombia have been working on a massive study. They've been tracking the health of thousands of pregnant women to try to figure out key questions surrounding the Zika virus. Now the team has published its first major findings, and they offer a glimmer of good news. Zika infections during the third trimester don't seem to cause severe birth defects, such as microcephaly, the scientists and their international colleagues report Wednesday in The New England Journal of Medicine. In what they're calling a "preliminary report" from their larger study, the researchers tracked the pregnancies of nearly 600 women who were reportedly infected with Zika during their third trimester, as suggested by the timing of their symptoms. None of the these women gave birth to a baby with microcephaly or other brain abnormalities. "I think it's somewhat reassuring that there were not major birth defects identified," says Dr. Margaret Honein, an epidemiologist with the Centers for Disease Control and Prevention, who helped lead the study. "But I want to make sure we understand there is still a lot that we need to know." For example, it's still unclear whether Zika infections late in pregnancy raise the risk for other complications, such as miscarriages or stillbirths. A small study published in February suggested this might be the case. In that study, two women caught Zika in the third trimester. In one case, the woman had a stillbirth and in the other, the fetus showed symptoms of growth restriction inside the uterus. Researchers have also linked Zika to neurological problems, such as abnormalities in vision and hearing. So Honein and her colleagues are tracking the babies in the current study for at least a year, to see whether any problems develop. Scientists studying other infections contracted during pregnancy have turned up associations with problems that develop later in life, says Dr. Catherine Spong, the acting director of the National Institute of Child Health and Human Development, who was not involved in the Colombia study. "Even simply having influenza during pregnancy increases the risk of lifelong issues, such as a higher rate of schizophrenia later in life," Spong says. So it could be years before we know the full impact Zika has on babies — even when an infection happens during the third trimester. "We don't have the full picture for how Zika impacts pregnancy," Spong says, especially when it comes to asymptomatic infections. "One of the difficulties of trying to truly understand Zika is that the majority of studies that we have are with symptomatic women," Spong says. But up to 80 percent of people who get infected with Zika don't even know it. Until we have more information, both Spong and Honein agree, the recommendations for pregnant women are the same: Don't travel to places where Zika is circulating. And if you have to, do everything you can to not get bitten by mosquitoes. "It is critically important to protect pregnant women from this infection throughout their pregnancy," Honein says.